Whether your dog is a beloved pet, a competitive athlete or a working dog, physiotherapy can help with a variety of conditions. A place to heal- We have regular appointments with qualified therapists to help improve or maintain your pets health in a calm and soothing environment. In human medicine it is standard practice to undergo extensive pre- surgery preparatory physio & post- surgery rehabilitation & the positive effects this has on recovery translates to animal medicine as well. Helen qualified as a human physiotherapist at Stellenbosch University, in South Africa, in 2007, and she moved to England to study an MSc in Veterinary Physiotherapy at The Royal Veterinary College of London. 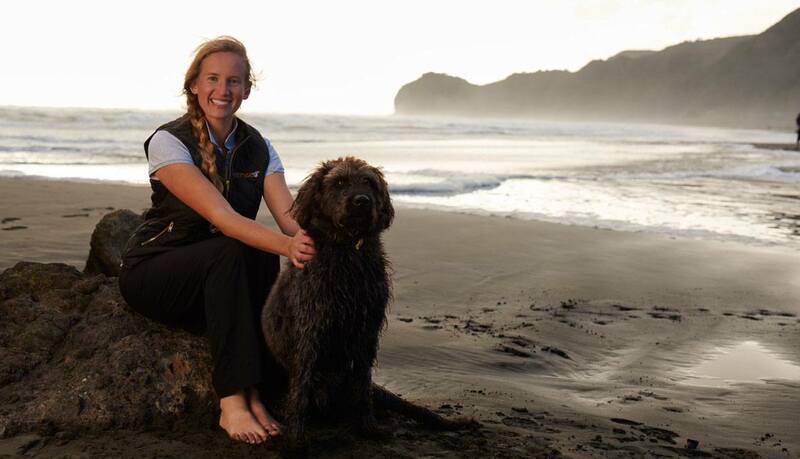 Helen worked in South Africa, England and Denmark (before moving to New Zealand to join Vetphysio Ltd in 2014), specializing in horses, dogs and cats, as well as human athletes. Helen loves helping her patients, to optimize their function and performance, and to achieve a better quality of life. She is passionate and enthusiastic about her work, and very excited to be helping to expand Vetphysio Ltd to the North Shore. Whether your dog is a beloved pet, a competitive athlete or a working dog, physiotherapy can help with a variety of conditions. This can enhance their quality of life and performance. Physiotherapists work closely with vets and veterinary professionals to provide a multi-modal, holistic approach to health and well-being. We work closely with vets to achieve optimal outcomes for patients, and owner satisfaction. We aim to give owners the best possible tools to manage their beloved animals at home, so that both pet and owner can enjoy the later years together.